The most asked question by far when people consider getting started with affiliate marketing is, How long does it take to earn money with online affiliate marketing? That is a very good question and one I want to answer for you with an explanation of my experience! I hope this article helps you in making a decision to get started with your own affiliate marketing business and answers your question! Affiliate Marketing Takes Effort to earn money! The answer to that question can vary but it’s not a mystery either. The short answer is that it really depends on a few different things to determine how long it takes to be a successful affiliate marketer, and how fast you start making money with affiliate marketing. And the biggest variable is you! You control your success ! Different types of affiliate marketing models. There are as many models for getting started in affiliate marketing as ideas you may have to promote it. If you are at the very beginning stages and haven’t actually gotten started in affiliate marketing yet, you might be surprised to know that there are variables that determine what you will be doing, and those variables play heavily on what niche you want to choose. Pretty much anything or any type of online business you choose will require that you niche down and promote products and services within that niche that offer help to other people in their pursuits and questions they may have within that niche. The niche that you choose should ideally be something that you are passionate about or at least have an interest in. If you have a hobby, that can be a great niche to promote because you are obviously passionate about it or at least have an interest. The niche and medium or platform for promotion, play a really big roll if your goals are to make extra money with affiliate marketing or maybe you want to become one of the top earning affiliate marketers. When someone visits my review and clicks on the affiliate link that takes them to the product, they have an option to purchase the product and if they do I receive an affiliate commission for the product. This type of affiliate marketing takes time, effort and patience because you are doing the work up front to reap the benefits down the road. As your website gains traffic, you gain potential sales. Traffic is a process that takes some time to build because you have to have quality content and search engine trust. While Search Engine optimization (SEO) takes time, it is basically free advertising to your affiliate links. You simply create the content and do the work. It sounds like a daunting task but is really quite straight forward and can be extremely profitable as your website builds momentum! If you choose to promote your affiliate products and services with YouTube video content you will be looking at a similar type of “build it and they will come” process. These tactics can take some time and effort, but in the end I chose it because after the work up front is done it becomes passive income. Social Media can be a great way to generate some sales quickly and I always suggest the use of social sharing for all website content for this reason. There are people who choose to make social media their only platform to promote their affiliate marketing business. This is great for getting some sales going and a way how to make money online without a website, but it will never be passive income, and you will have to invest money into paid advertising like Facebook ads if you ever want to scale your business. E mail marketing can be a very profitable way to market products and services! I truly believe that one of the first things a new affiliate marketer should do is to start building an e-mail list. Having an E mail list gives you the power to send E mails to the people on your list with a landing page or content that will lead the person to your affiliate link. This is an amazing tool, but can also take you down the wrong track if you allow yourself to go there! What I am talking about is the large number of scammers online who abuse E mail marketing practices to try and get affilliate commissions by simply spamming them out in E mails! This is a terrible way to build trust or build your tribe of followers who put faith in what you send them. This get -rich- quick scam practice has been addressed by the canned spam laws, but there are many marketers who practice this and try to stay in the gray area of the law. While you can generate a good amount of money fast, I suggest that you use E mail marketing ads an honest and ethical means of affiliate marketing! There are other means and ways to start earning money with affiliate marketing, The ones listed are the most popular by far and place a good example of the kinds of time it takes and work involved. You and you alone decide how long it takes to start earning money with affiliate marketing! I won’t sugar coat it! Making money online is not an easy get-rich-quick scheme. It requires the big three ingredients! If you enter into the world of affiliate marketing or any online business with the right mindset and put in the effort, you will be successful. But if you maintain that get-rich- quick mentality and want tons of success for little effort you will fail! The amount of money you make and how quickly you start making it is in direct relation to your work ethic and how much you want the level of success that you have set in your goals! I know people that have started earning money the first day, but that is very rare! There are many people like myself who have been in affiliate marketing for a while, and have had very modest success. My first website took over a year and around 50 articles/ posts before it started generating decent traffic and therefore decent money. After 24 months a well laid out niche website with at least 30 posts should earn in the neighborhood of $2,000 per month. I’ll bet the part that caught your attention was the 24 month part! Well that is what it takes and the average time. Now just think what happens if you work really hard and have 200 post/ articles on that same website after 24 months! Your success should be even greater because you are covering more content and the search engines love that! The longer you wait the longer it takes! The biggest issue I have found with getting started and earning money is that people spend too much time researching and thinking about it before they get started! The sooner you make a decision and get started the sooner you will start reaching the levels of success that you really want! I made up my mind to get started and started looking for get- rich-quick schemes to help me cut corers and get straight to the money part. The truth is that there are many of these schemes out there, but none of them work! They just build false hope and teach you to become a scammer! After a couple of failures I found a training and Community platform called Wealthy Affiliate that taught me step by step how to build a website, and how to create content and maximize my efforts ! If you are interested I would strongly suggest that you give them a try! There’s really nothing to lose because you can get started by getting a free membership! The point is to start. Whether you would prefer websites, YouTube, social media, podcasts and/or Email Wealthy Affiliate has training that covers them all! The answer is pretty clear. There is no set amount of time to start making money with affiliate marketing. It really does depend on you and your work ethic! I find affiliate marketing to be fun and very rewarding! I love writing blog posts and doing reviews on my first website as well as helping others learn the same things on this website ! 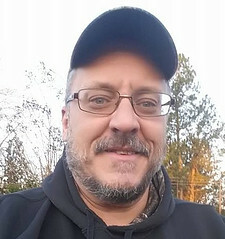 I have built three websites with wealthy affiliate with a goal of 5 1 My goal is to create a low estimate of $10.000 per year in passive income with my websites and put time into other revenue streams at the same time. While I haven’t achieved that goal yet, I’m getting closer every day and enjoying the adventure along the way! I hope you have enjoyed and have gotten value from this article ! I would like to thank you for taking the time to read and discuss the opinions expressed ! If you have a comment, question or other feedback, I would appreciate it isf you left them in the comments! Your feedback helps me to better serve my readers ! Previous Post:Is You Targetr a Scam Or Legit Way To Rank Videos And Earn Money? Next Post:How To Retail Arbitrage- eCommerce for anyone! Hello I am new to affiliate marketing and so glad to found your article here. I heard that affiliate marketing can be your passive income sources and it may take some time to build enough to live your daily life. You should keep a steady flow of content on your website and not be up and down. Posting two this week and 1 in two weeks will hurt your traffic and ranking within the search engines. Thanks for this interesting article, thanks also for setting the record straight on how long it takes to make money in the affiliate marketing business, it took a long time for me to actually figure out that the success you achieve in affiliate marketing, depends on the amount of work invested in your online business, so to me there isn’t a perfect day or time. If I can help you out, let me know! 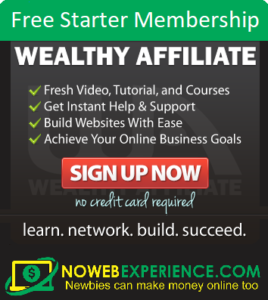 My username is MikeC69 at Wealthy Affiliate ! I have been looking to get into affiliate marketing and so glad i found this post. You really provide a real look at how much effort is required to make money as an affiliate marketer. I’m going to check out your recommendation on Wealthy Affiliate. Thank you so much! Thank you very much for your feedback! I really appreciate it! Affiliate should be enjoyable because you have the flexibility to work anytime and anywhere therefore in my opinion it doesn’t matter how long it takes as long as you enjoy doing what you do. A large percentage of individuals and companies earn money from their sites as a hobby as well as full time jobs. By joining a community and working with a guide; besides making money, you also have a chance to meet new people along the way. Great set of points you listed here, you’ve really shed a good spotlight on types of affiliate marketing models. Thanks so much for your kind remarks Ayodeji! Thank you for this insightful article. Now l have a clear understanding of how long does it take to make money with online affiliate marketing. I pretty much agree with you that normally a site can make a steady income after 24 years of hard work but l would like to cut short the process. Do you think using the YouTube channel or Email Marketing is more practical and easier to generate passive income? Thanks for your comment Shui! If I can help in any way, be sure to let me know !